It’s not uncommon for today’s children, brought up in a fast-paced, digital world, to become bored and uninterested when visiting cultural institutions. It doesn’t have to be that way though. Sometimes the first step to enjoying art is to look forward to a museum visit as something that is fun. Use the interactive tools of the digital world to engage young people during a trip to museum, landmark, or other cultural institution, and they might just find for themselves a love of arts and culture that they didn’t know they had. Photo by Gijsbert van der Wal was misinterpreted by the masses. Here are some fun and innovative ideas for teachers and parents to try on their next field trip. Tableu Vivant means living picture. In a museum setting, this can be inspiration to pose as a piece of art and even act out what the characters in the artwork may have been saying.Once the picture or video has been captured, you can email it to Flickr using a selected tag and view the videos and pictures in a slide show. (Here is how you can do that.) Make it a game by seeing if others can guess the piece of art you are imitating. The slideshow becomes a fun, creative, and interactive (others can comment on the pictures and videos) keepsake from your trip. 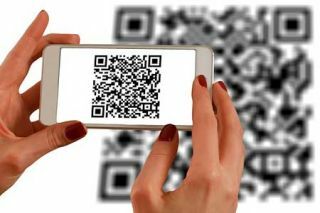 Some cultural institutions use QR codes to enable visitors to learn more about their exhibits. Find out if this is something that the museum you are visiting has. It’s a great way to interact with exhibits. For example, at the Smithsonian they have a Neanderthal exhibit with a QR code that takes you to the MEanderthal app. The app transforms visitors into the Neanderthal of their choice and gives them additional information about what life would have been like at that time. Talk about engaging! Record a phonecast of your favorite museum pieces with iPadio (http://www.ipadio.com). iPadio lets you record a podcast right from your phone with no additional equipment. Ask those joining you on the trip to find an exhibit they like and make a recording about it like they were a news reporter. All those recordings go right to your iPadio account. Take a picture of the exhibit too (if you are allowed). When you get back to a computer, you can attach that picture to your recording. At the end of the trip, you’ll have your visit captured via a variety of phonecasts explaining what you saw. Take short videos at the museum describing the pieces visited and reactions to them. Use those videos to create an interactive, augmented reality museum in your home or classroom using Aurasma. Simply print out an image that represents the museum piece. This could be a sketch, a photo from a museum catalogue, newspaper clip, postcards from the gift shop, an image from the internet, etc. Place those printouts on a display wall, create an Aura for each one, and Voila, you’ve created your own interactive museum. Here is an example of what Aurasma looks like at the Grammy Museum. A great activity to do at a cultural institution is to think about what happened next with a piece of artwork. StoryKit (http://www.graphite.org/app/storykit) is a terrific free app that allows kids create their own books from scratch. They can take a picture of a piece of art, then illustrate with captions what they think happened next. If you have a few kids, it can be a lot of fun to compare notes. If it’s a historical scene with a factual progression, finding out what really happened next can be fascinating. While it’s not unusual for youth to view cultural institutions as stodgy places, adults would be wise to help change this perception. Incorporating the digital resources students love into their experience might just be the key to fostering an appreciation by today’s voracious young consumers of popular culture. Digital media provides an entry point to help kids understand and love the creations of other human beings. Try a few of these ideas and you might be pleasantly surprised to have the young people in your leading the way to the next trip to the museum.